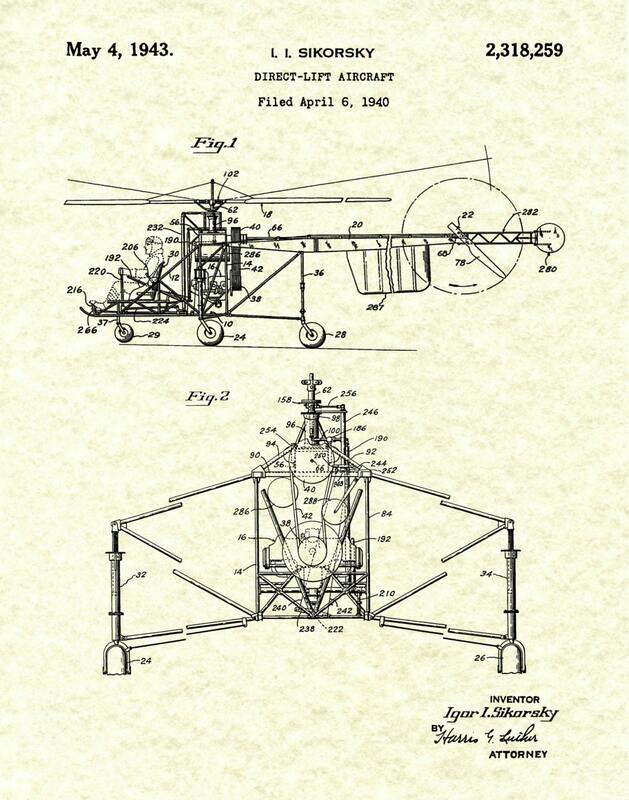 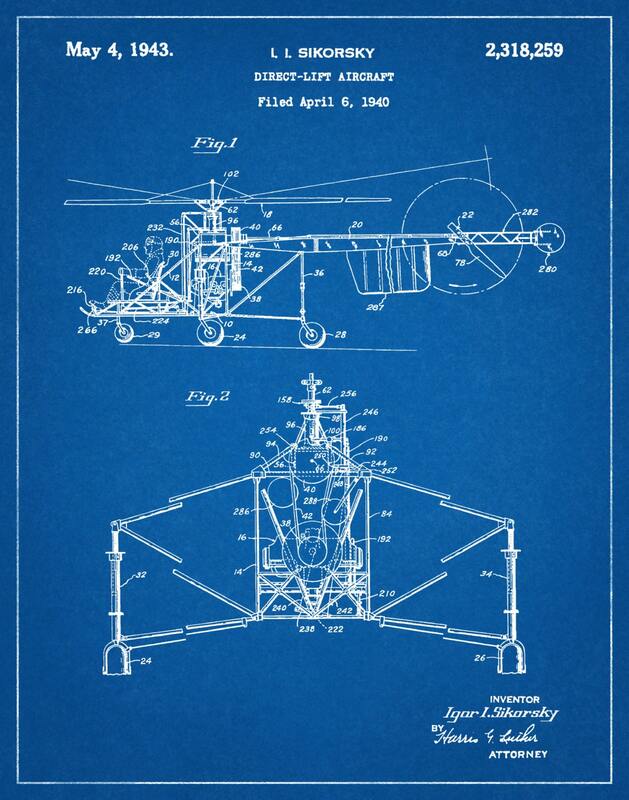 1943 Sikorsky Helocopter patent - "aircraft of the direct life" invented by Igor Sikorsky. The US Patent and Trademark Office issued the patent on MaY 4, 1943. 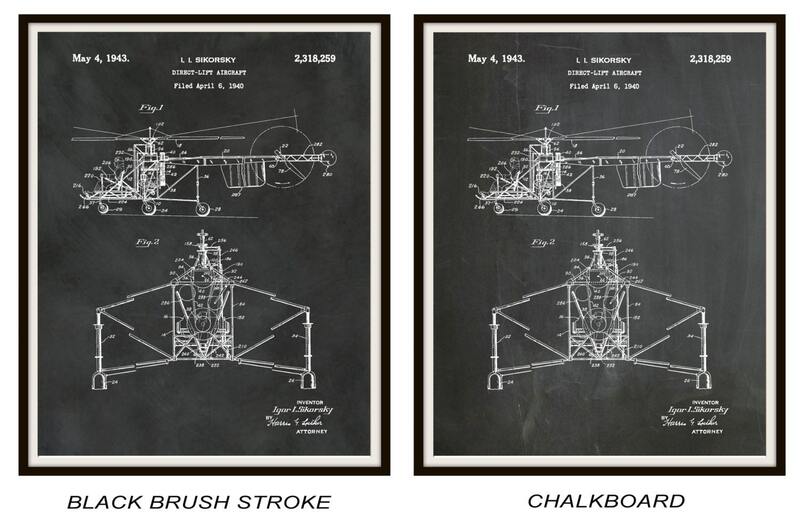 Patent print pages are restored and digitally enhanced to remove as many flaws as possible, straighten lines and text, while trying to keep the final product as close to the original patent as possible. 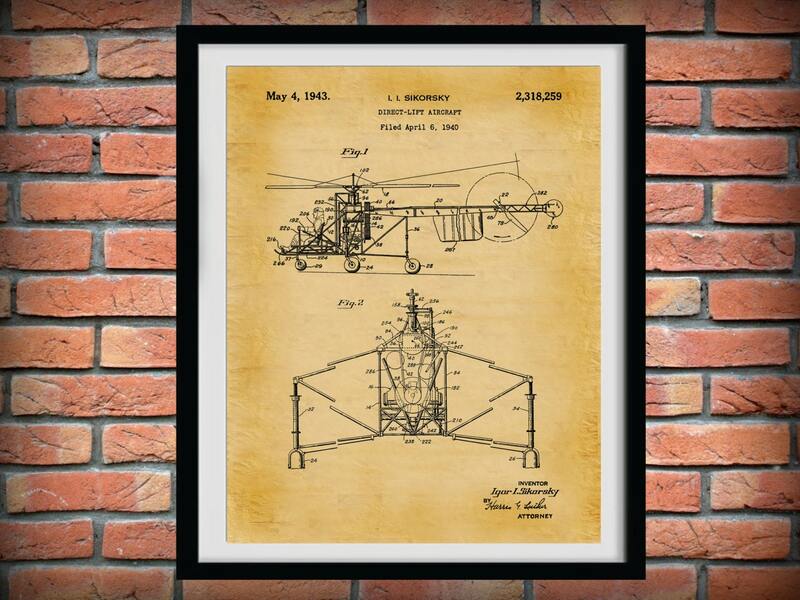 These patent prints are great for your home or office.